This select bibliography is one of various text layout/formatting and index projects done for the sister companies, Africa World Press and The Red Sea Press, Trenton New Jersey. The books of the projects are all available for order on the companies’ website- http://www.africaworldpressbooks.com/servlet/StoreFront and all major online retail stores including amazon.com and Barnes and Noble. 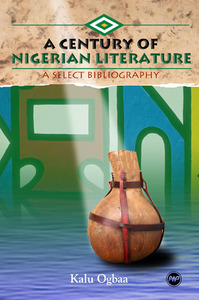 In response to the call of many teachers, critics, researchers, and writers of African literature, this book is being offered as a groundbreaking source that brings together literary practitioners and librarians into a century of conversations on Nigerian literature. As the first comprehensive bibliography of this literature, the book includes works in three literary genres—prose fiction, poetry, and drama—as well as children’s literature. Kalu Ogbaa is a professor of English at Southern Connecticut State University, where he teaches Africana (African, African American, and Afro-Caribbean) and American literatures. He is the editor of The Gong and the Flute: African Literary Development and Celebration, and author of Folkways in Chinua Achebe's Novels, Gods, Oracles and Divination: Folkways in Chinua Achebe's Novels (AWP, 1992), Igbo, Understanding Things Fall Apart: A Student Casebook to Issues, Sources, and Historical Documents, and numerous articles on African and Commonwealth literatures.